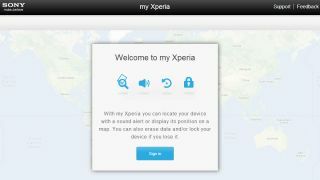 If you're always misplacing you smartphone then fear not as Sony is rolling out its "my Xperia" service from today which lets you hunt down your stray handset. Of course you'll need to own one of Sony's Xperia smartphones or tablets for the service to work, which allows you to remotely locate, lock and wipe the device - just it case it's fallen into the wrong hands. It's a service which seems to mirror Apple's "find my iPhone" app, which gives you similar remote controls over your devices. The service is offered free of charge and you'll need to dip into the settings (Settings > About phone > Software update > New apps > My Xperia) on your Xperia device to install the app. Then if the worse should happened to your beloved phone or tablet, all you'll need to do is pop on over to the my Xperia website, login with your Google account and get that device locked down. If you've simply just lost it in your house you can force the Xperia device to play a sound alert - overriding the sounds settings on your phone or tablet - so you know which sofa to look behind, or bed to peek under. It will take a few weeks to reach every Xperia device around the world, so if you're not seeing it just yet, don't panic as it will be with you soon.